Do Indiana's Civil Forfeiture Laws Violate The State Constitution? Indiana's civil forfeiture laws allow police to seize cash and property they believe was involved in a suspected crime (Delaware County Sheriff's Department). 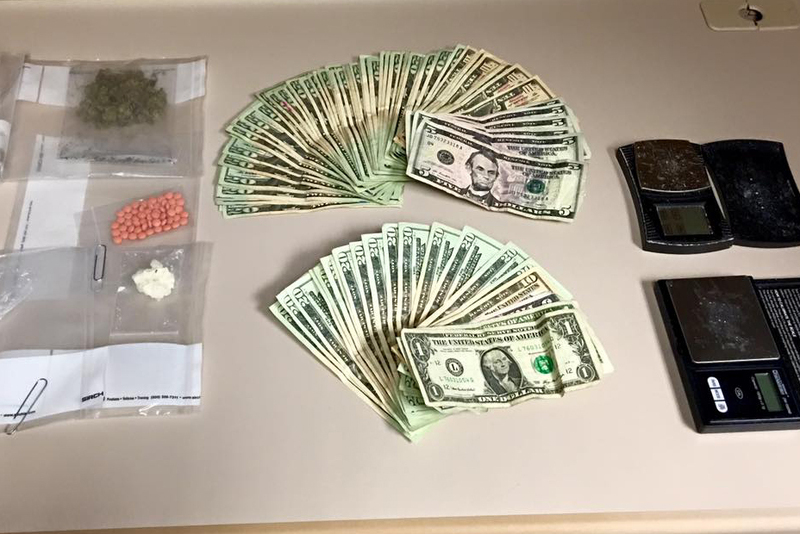 Police across Indiana seized more than $3 million worth of property and cash during fiscal year 2017 that they believe was involved in suspected crimes. Prosecutors and law enforcement agencies say civil forfeiture empowers them to take the fruits of crime and use some of the proceeds to further other investigations. But critics say where the proceeds go creates conflicts of interest – and may even violate the state constitution. Delaware County Prosecutor Jeff Arnold says civil forfeiture is a powerful tool to get drug money off the streets (Barbara Brosher, WFIU/WTIU News). During the fall of 2011 in Muncie, first responders were overwhelmed. "We were having multiple overdoses," says Delaware County Prosecutor Jeff Arnold. "The EMTs and the first responders were averaging about two a day where people were overdosing on this stuff." Arnold says people were overdosing on bath salts and spice. Court documents say they were buying the drugs from convenience stores in Delaware County, which were part of a large drug ring. On top of selling the drugs, court documents say those involved mixed money from the deals with proceeds from legitimate sales at the stores. So several police agencies started an undercover operation. On several occassions, an undercover officer bought spice or bath salts from one of the stores. In one instance, a packet had a warning on it that said "the content of this item is not for human consumption and can pose a health risk if accidentally ingested." The Indiana State Police lab tested the substance. The test revealed it contained pyrovalerone, which is a Schedule V controlled substance. The investigation continued for nearly nine months before police made arrests. "A large group of law enforcement agencies came together to serve warrants on those [stores] simultaneously," Arnold says. "We froze bank accounts simultaneously, because we knew there would be telephone calls really fast. And, it was a good deal of money." The county filed criminal charges against those involved, ranging from racketeering and money laundering to dealing in a controlled substance. The county also filed a separate civil forfeiture case in an attempt to keep cash, property and cars seized during the investigation. While the court ordered some of that be returned to the defendants, it also said tens of thousands of dollars should be forfeited. The money was divided between Muncie police, the sheriff’s office, the private law firm hired to prosecute the case and the prosecutor’s office. Arnold spoke to a legislative study committee last year about the power of civil forfeiture. 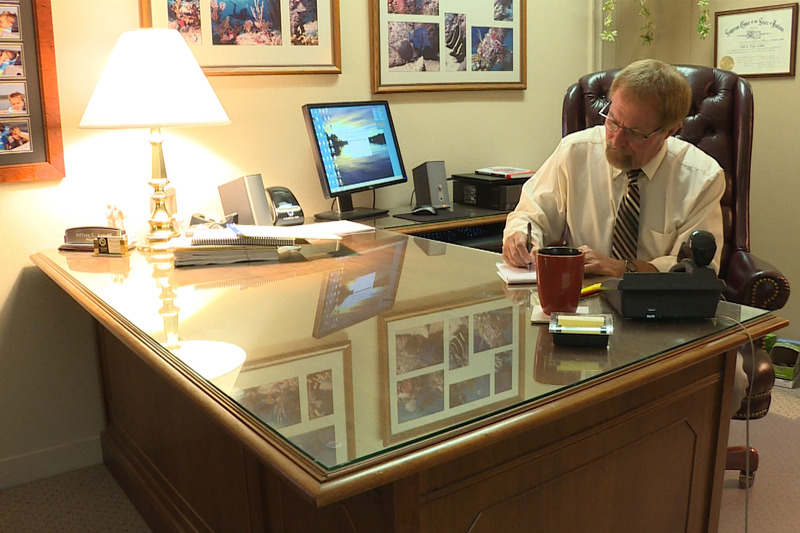 He says he used the money from that case to make improvements in several circuit court rooms. He bought drop down screens and three audio-visual carts. "And, ever since that day it’s been very satisfying for me to go into that court when I do major felonies and remember that that equipment and those drop downs came from someone who was selling drugs and killing people on our streets," Arnold told the committee. "No tax dollars." Some legislators argue the way Indiana allows money from civil forfeitures to be used creates a major conflict of interest. Rep. Matt Pierce (D-Bloomington) says it can lead to distrust. "We have to separate where the money goes from the people actually doing the seizing of the property," Pierce says. "Because I think it breeds cynicism amongst the public when they see the prosecutors and law enforcement directly profit from the assets that are seized." Several Marion County residents are suing the prosecutor, police and mayor, arguing the county’s ignored that statute for years and instead distributed all proceeds to local law enforcement efforts. Data from the Indiana Prosecuting Attorneys Council shows police seized nearly $3.4 million worth of cash and property statewide during fiscal year 2017, but less than two percent of that went to the common school fund. It’s something the Indiana Supreme Court will consider when it hears the Marion County lawsuit. In a rare move, it granted emergency transfer of the case. That means it will bypass the Indiana Court of Appeals. The court's ruling would impact civil forfeiture thorughout the state. Legislators passed a bill earlier this year that includes several civil forfeiture reforms (Steve Burns, WFIU/WTIU News). 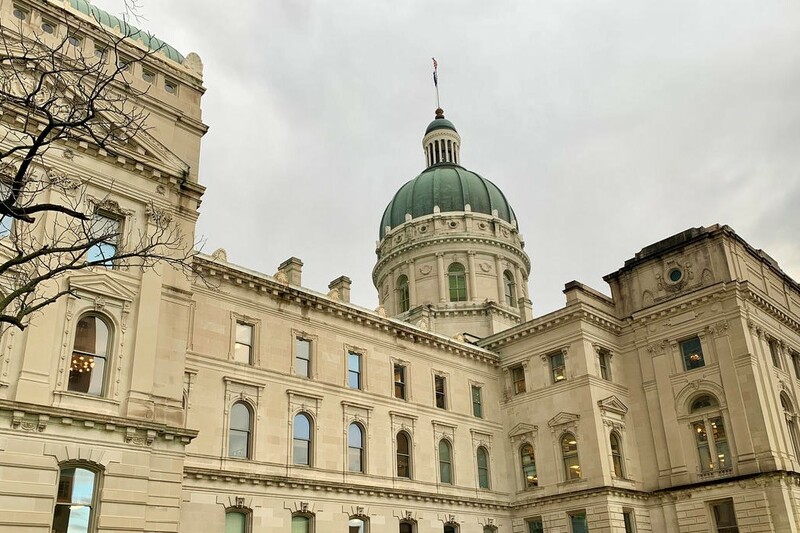 Some state legislators say they’ve already addressed some of the problems with Indiana’s civil forfeiture laws through Senate Bill 99, which went into effect this summer. It includes a long list of changes. Among other things, the new law is more specific about how proceeds from seizures should be distributed. Before, the law allowed police and prosecutors to use that money to reimburse agencies for their investigation costs. But oftentimes prosecutors and law enforcement said it was too hard to determine those exact costs, and in many cases took all of the money. Now, the money first goes to pay attorney’s fees if an outside law firm is hired to prosecute the case. Then, a third of the remaining proceeds go into a county’s forfeiture fund to offset investigation expenses. And 85 percent of the money left over after that goes to law enforcement agencies. "Which sounds like a really big number," says State Senator Rodric Bray (R-Martinsville). "It is a big number. But, these investigations are expensive." Any money left over after all of those expenses are covered goes to the common school fund. Bray says while it may not seem like much, it's more money than the fund was getting before because some agencies held on to all forfeiture funds. The bill also adds more due process to Indiana's forfeiture proceedings. The prosecuting attorney must file a forfeiture case within seven days of the seizure so a court can determine whether the county has probable cause to take the property. Before, prosecutors had up to 180 days to initiate the case. "So they could take that car and hold it in an impound lot for 180 days, and then they might be able to file it and go on with the civil forfeiture," Bray says. "Or, they may not. They may decide 'here, we don't want it. You can have the car back.' Now, the probelm that happens then is the person has their car in an impound lot for 180 days, it's accrued really large impound fees, probably more than the car was worth. And, so, there's no point in going back to get it because you have to pay more than the value of the car to get it. The person was out their car and never really had a day in court." 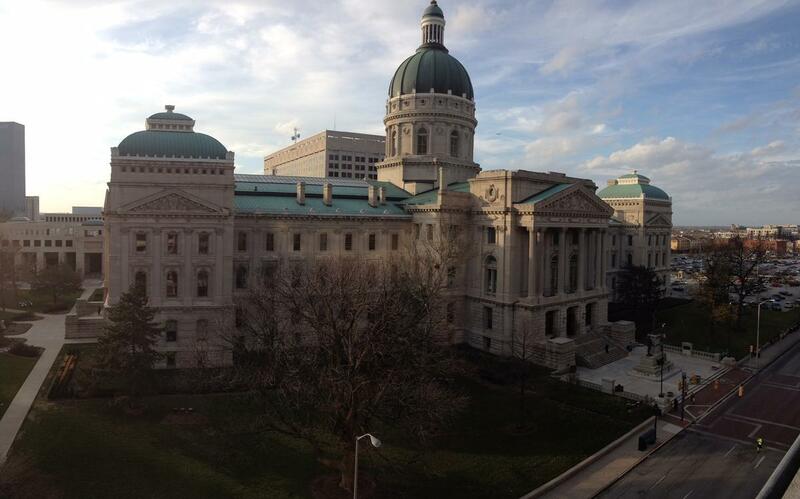 Hoosiers can also request their property be released while the forfeiture case is pending. If the prosecutor fails to meet the burden of proof required to keep the property and its possession is legal, the court will order it to be released to the owner. In that case, the owner would not be responsible for any charges associated with storing or preserving the property. And the legislation includes more robust reporting requirements for county prosecutors, who must report forfeiture activities to the Indiana Prosecuting Attorneys Council. That information will now include how the property was seized, what type of property was seized, whether the forfeiture was challenged and what happened to the money. 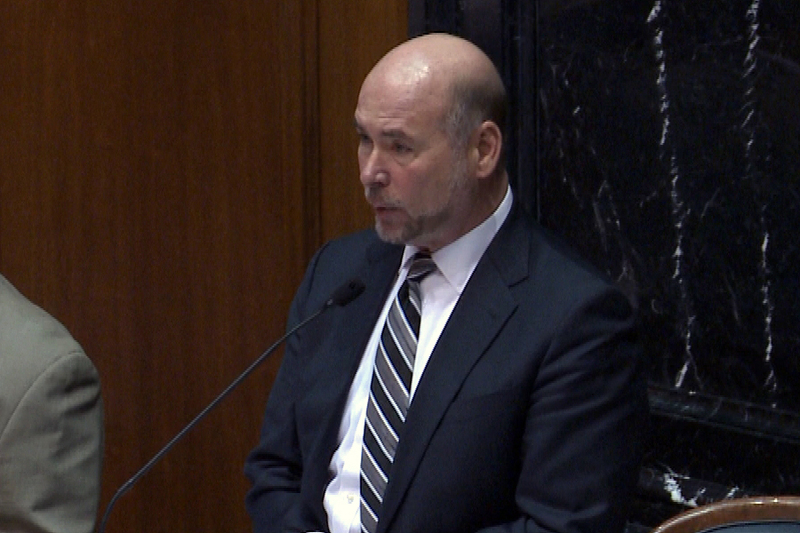 Bray says legislators constantly heard stories about a grandmother's car being seized by police because one of her grandchildren used it while buying a small amount of drugs. "We're having a hard time getting a good focus on that sort of issue and if it's really a problem," he says. "So, with this reporting requirement, I hope we'll be able to find out whether it's a problem or not, and then we may address it." Despite changes legislators made to Indiana's civil forfeiture laws, experts say the state's fallen far beyond others when it comes to reforms. There is no criminal conviction required in Indiana before a civil forfeiture case moves forward. In fact, prosecutors can file a forfeiture case without even filing related criminal charges. Some legislators say that's necessary because, in some cases, no one comes forward to claim the property. For example, when large amounts of drug money are sent through the mail. In that case, they argue, they shouldn't have to send the money back just because they don't have enough evidence for a criminal case. "If they have probable cause they can seize the money," says Louis Rulli, a practice professor and civil forfeiture expert at the University of Pennsylvania Law School. "The question, though, is should anybody lose their property if they haven't been convicted of a crime? What is the basis in our society, in our democracy for the government taking people's property if they haven't been convicted of a crime?" The standard of proof for criminal and civil forfeiture cases is different. In a criminal case, a prosecutor has to prove someone is guilty beyond a reasonable doubt to secure a conviction. In a forfeiture case, the standard is much lower. A prosecutor only has to show by a preponderance of the evidence that the property is connected to a crime and should be seized. That essentially means the attorney has to show it's more likely than not that's the case. Rulli says he's also troubled by a provision that allows counties to hire private attorneys to prosecute civil forfeiture cases. In many cases, those attorneys work on a contingent fee agreement where they receive some of the proceeds from a forfeiture. "When we financially incentivize private attorneys to take on a government function, that we expect to be performed by neutral government officials who don't have any direct personal stake in the outcome, and then we then transfer it to private attorneys who will have a personal stake in the outcome, we really have, I think, possibly run afoul of professional responsibility requirements," Rulli says. SB 99 does include additional restrictions for those types of compensation agreements. It stipulates prosecutors and deputy prosecutors cannot receive a contingency fee for forfeiture cases they conduct. And, it limits the contingency fee for attorneys retained to handle forfeiture actions. Under the new law, those attorneys can receive no more than 33.33 percent of the proceeds for settlement of $10,000 and under, no more than 20 percent for forfeitures between $10,000 and $100,000, and no more than 15 percent for forfeitures of more than $100,000. Arnold says he thinks all of the changes made to Indiana's law this year addresses the biggest criticisms of civil forfeiture. But he understands people’s continued concerns about the ethical problems. "There are too many stories out there about prosecutors throwing Christmas parties with forfeiture money or buying things that don’t help fight crime or drugs," he says. "I’m sure that that happens occasionally, and it’s wrong. But, don’t throw the baby out with the bath water. Change those type of behaviors and continue using the forfeiture money to offset these budget restraints that have hit smaller communities."